Céline All Soft bag is an epitome of simplicity and decadent elegance. It was introduced for Summer 2013 collection. It features a large fold over flap with a single strap shoulder bag, made in soft calfskin leather and comes with a mini pouch inside. The interior is unfinished in a raw hide giving it a rugged texture. 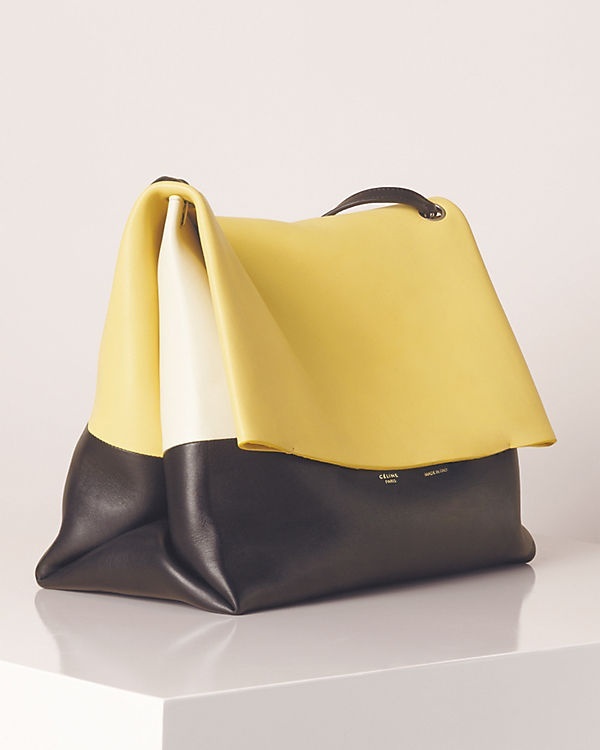 The exterior is designed with two contrasting colors and/or materials in mind, which is in typical for Céline. Céline All Soft comes in python, pony hair, leopard print and calfskin mixed together. Céline All Soft is very slouchy, soft and extremely versatile. 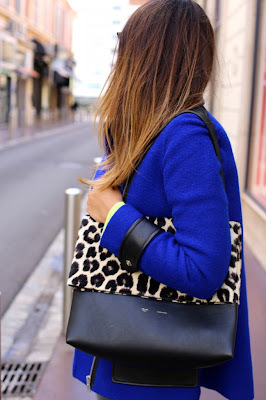 this is such a beautiful bag! Oh, this is really nice bag, I bought one last year and I love it so much.